This month we were delighted to exhibit at the NHS QA Symposium for Technical Services on the 6th November - 7th November at the Crowne Plaza Hotel in Chester. We would like to thank everyone who took the time to visit our stand and meet our team representatives over the past two days. We hope you enjoyed your visit (and the freebies!). The countdown to Christmas has begun and we are pleased to provide details of our Christmas shutdown. Helapet will be closed for the Christmas and New Year holidays from the afternoon of Friday 21st December through until Tuesday 1st January 2019. We will re-open again on Wednesday 2nd January 2019. For pre-Christmas delivery, we would encourage you to place any urgent orders before our scheduled shutdown. Please note December and January are extremely busy times of the year. If you require delivery before Christmas, please place orders by 21st December at the very latest. We would like to take this opportunity to wish you a Happy Christmas and a prosperous New Year, and thank you for your continued custom and support throughout 2018. For information on order and delivery times for countries outside of the UK, please email us at sales@helapet.co.uk. Keep up-to-date with Helapet news by connecting with us on LinkedIn, Twitter, or sign-up and receive our mailing list for latest product and company updates. 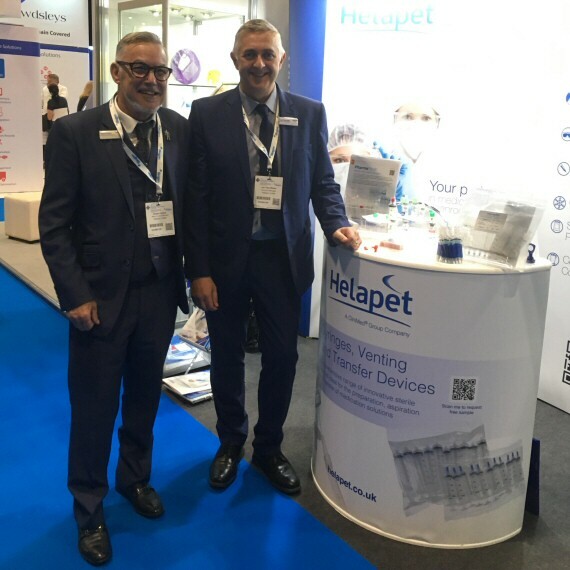 Nov 2018 - Thank you for visiting Helapet at Lab Innovations 2018! From the 31st October - 1st November, we exhibited at the UK's largest laboratory event, Lab Innovations, at the NEC in Birmingham. We would like to take the opportunity to thank everyone that visited our stand and hope you enjoyed your visit. As part of our ongoing support of Association of Pharmacy Technicians UK (APTUK), we have joined them in celebrating the essential role of the Pharmacy Technician on the 16th October for Pharmacy Technician Day. Here at Helapet we pride ourselves on providing dedicated support to the health and safety of Pharmacy Technicians in their works. 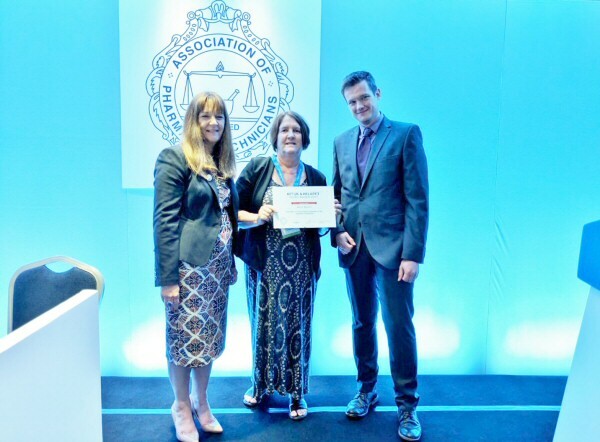 Previously, we have attended the APTUK annual conference and sponsored the Katherine Miles poster competition which has been a great success and produced innovative ideas and new methodologies to support improvements in best practice within the Pharmacy profession. Pharmacy Technician Day (#RxTechDay) is a social media campaign started by APTUK with the aim to raise the profile of the profession and celebrate the diversity of their role. We were delighted to have the opportunity to send the aseptic team at the Countess of Chester Hospital some of our promotional materials. With the aim that it would help their team highlight to visitors the importance of aseptics and using specialist products to ensure patient safety. If you are interested in receiving one of our promotional packs to help promote #RxTechDay and your role as a Pharmacy Technician and the resources needed to be successful, please email us at info@helapet.co.uk or call 01582 501980. We would like to inform you that Helapet will be carrying out our annual stock take from Friday 2nd November 2018 through until Monday 5th November 2018. We apologise for any delayed shipments during this period. If you have orders for shipping during this period, please kindly inform our sales office in advance by placing your order by 3pm on Thursday 1st November for 24hr delivery. Orders placed after this time will not be shipped until Wednesday 7th November for delivery on Thursday 8th November. We appreciate your understanding. Please contact us at sales@helapet.co.uk or on 01582 501980 for further information on new or existing orders. 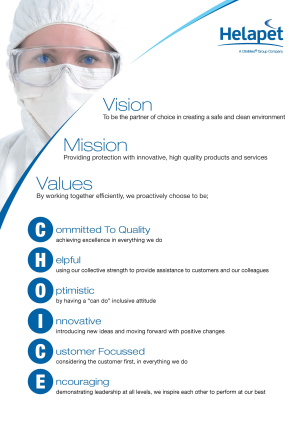 On Wednesday 18th April, Helapet recently launched our new Vision, Mission, and Values statement illustrated by a dedicated poster. The launch of the new statement was presented by Managing Director, Ben Miles and will direct the company in terms of our organisation culture, our attitude towards continual improvement and quality and our customer focus in delivering first class products and services. The launch event was attended by all Helapet personnel, signifying our staff's commitment to uphold the values listed in the new statement. This important change is part of a wider transformation programme which has seen the introduction of lean principles and continued improvements to our quality management processes and systems. Click here to view our latest Vision, Mission and Vales statement. Helapet is delighted to unveil our new-look inline disc filters brochure, providing readers with a valuable insight into our Vari-Disk® custom design and manufacturing service. Our new brochure is presented under Helapet's distinctive blue and white branding as we now bring our inline filter range firmly under our company name, removing the Filter Devices brand. With a long established reputation for quality against all our consumable products and services, the Helapet name is now recognised as one of the leading UK producers of inline filters. Our new 8 page brochure takes the reader through the key customisable options of our disc filters, including inlet / outlet connector options, filter media and capsule housing sizes. The client-centric layout extends our commitment to offer clients a variety of filter combinations, simplifying the selection process and outlining the main industry applications where our filters can be used. 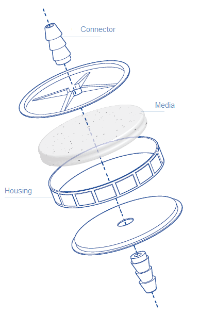 Covering additional value-added services such as filter testing, sterilisation and free trial samples, our brochure provides a complete understanding of our Vari-Disk® service and the quality processes that underline the performance of all our filter products. For over 25 years, Helapet as designed, developed and manufactured inline disc filters for a multitude of filtration and clarification applications. Today we pride ourselves in delivering a quality, custom filter product when a standard filter is not an option. We combine our ever expanding range of filter media and inlet / outlet connectors with a range of housing sizes, suitable for the unique requirements of every client we service. Manufactured to ISO 13485 in ISO Class 8 cleanroom facilities, we ensure each filter is produced to exceptional standards, contaminant-free and comprehensively in-house tested. Request our new Inline Disc Filters brochure or send us your filter specifications by emailing sales@helapet.co.uk. 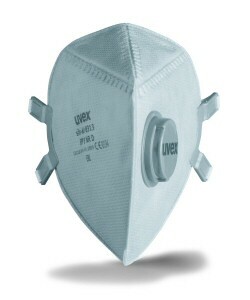 Download our new inline disc filters brochure direct from our website https://www.helapet.co.uk/inline-disc-filters. 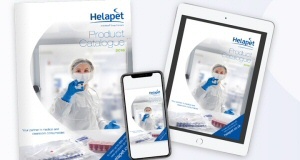 Feb 2018 - New Helapet 2018 Product Catalogue - out now! Helapet are excited to announce the release of our new 2018 Product Catalogue. 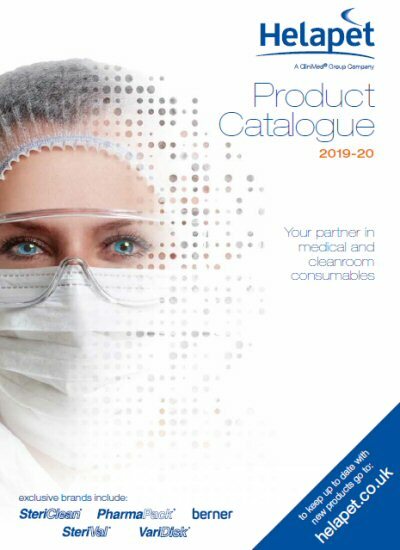 Our new 52- page edition includes a host of new products including new triple bagged sterile consumables, an extended range of sterile multi-pack syringes, our new 7L size sterile sharps bins and more. 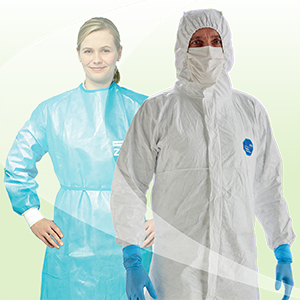 Our product pages feature further helpful product and ordering information including size charts for cleanroom garments such as our all-in-one cleanroom suits, Berner gowns and Tyvek® Lab Coats. Designed to be easy-to-use, with high quality visuals all organised into easy-to-navigate colour coded sections, customers can quickly and easily source and order the right product. Our new introduction section explains more about our company, our core service commitments, including some of our latest testimonials highlighting what our customer think of us. Dedicated about us section, incorporating a company overview and supporting testimonials from our customers. Extended product information on our consumables including new products for 2018. 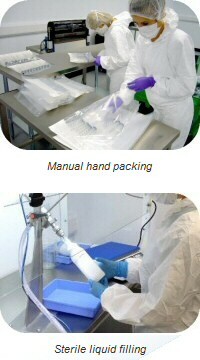 Handy size charts included for cleanroom garments. 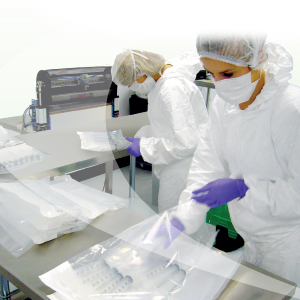 Featured Cleanroom Contract Packaging and Liquid Fill Services providing key information on our services and capabilities. Key order information on the rear page, with useful discount opportunities and ways to track Helapet deliveries. We trust you will find our new catalogue informative and convenient. Request your physical copy today or download direct from our website helapet.co.uk. 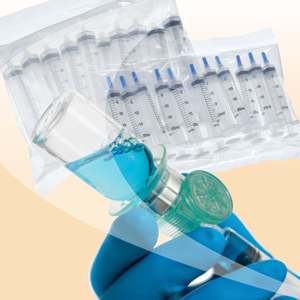 Did you know Helapet now offer our standard PharmaPack® Multi-Pack Syringes, Sterile Sharps Bins and other sterile consumables in triple bagged format? Well just so you know, we offer the same quality product with not just two, but three levels of sterile barrier protection, supporting best practice in aseptic transfer. 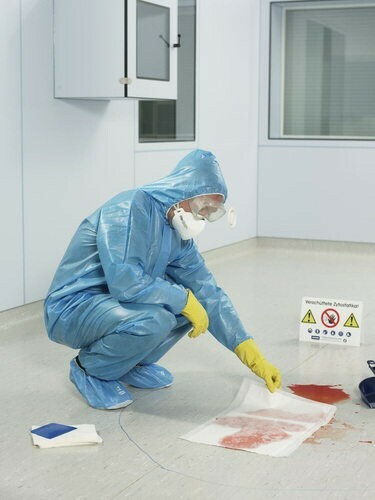 Using triple bagged products supports the need to eliminate harmful contaminants such as spores from reaching grade A working environments, allowing Pharmacy Technicians to effectively remove one sterile barrier for each stage of the transfer process. 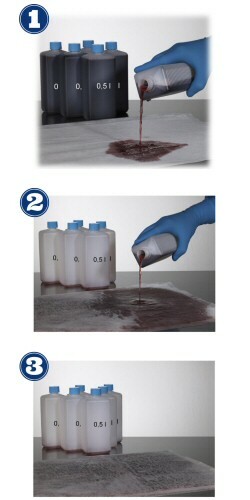 Reduce the risk of bioburden, reduce processing time and increase your safety and confidence. Choose triple bagged products from Helapet. Request a quotation by emailing us at sales@helapet.co.uk or call on 0800 0328 428. 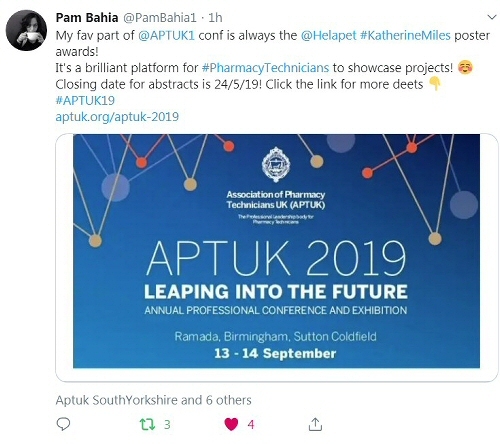 This year the Association of Pharmacy Technicians UK (APTUK) brought together over 200 professionals to exchange ideas, learn and debate the hottest topics surrounding current practice. This year the Association of Pharmacy Technicians UK conference was held in Cardiff, Wales, resulting in one of their highest ever turnouts. Run by pharmacy technicians for pharmacy technicians, the APTUK continues to provide essential support in training and development needs. 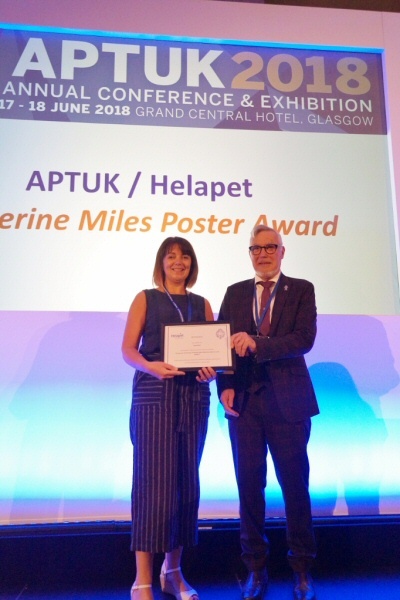 Helapet were once again delighted to be a corporate sponsor and present at the Kathrine Miles Poster Competition award ceremony. 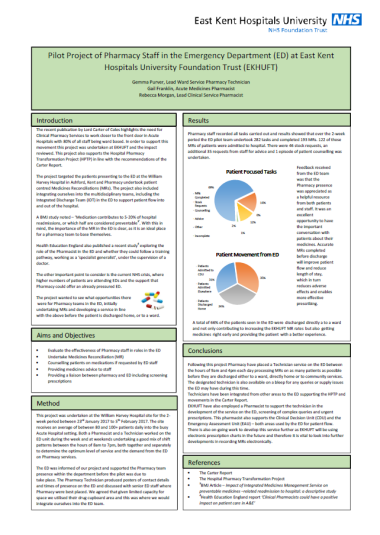 The Kathrine Miles Poster Competition helps to support creative thinking, using posters to illustrate latest research, generate new and valuable ideas and share best practice with fellow colleagues. 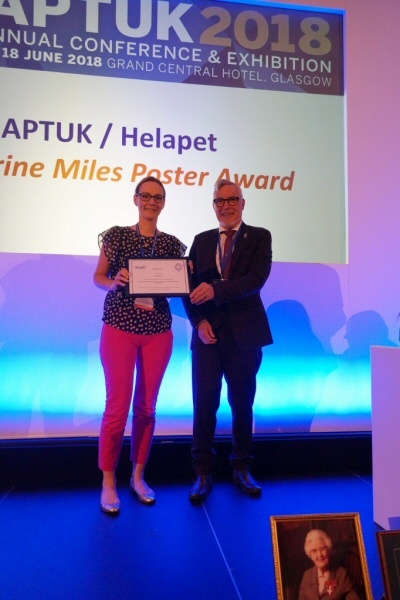 A big congratulations to Gemma Purver of East Kent Hospitals University Foundation Trust who became the official winner of the 2017 Katherine Miles poster competition. 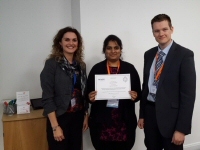 Her poster on "Pilot Project of Pharmacy Staff in the Emergency Department" secured her a cash prize of £250 and her name on the board of first place poster winners. Well done to the runners up. 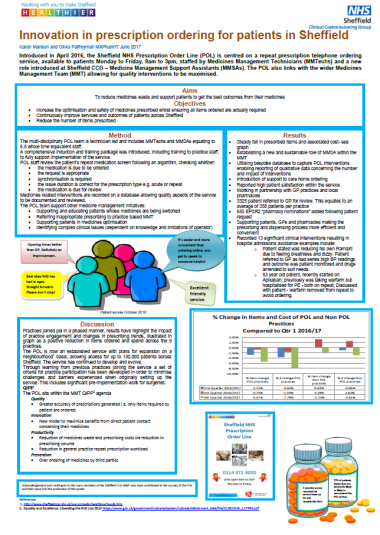 Second place went to Karen Manson and Olivia Palfreyman of Sheffield Clinical Commissioning Group for their informative poster Innovation in prescription ordering for patients. 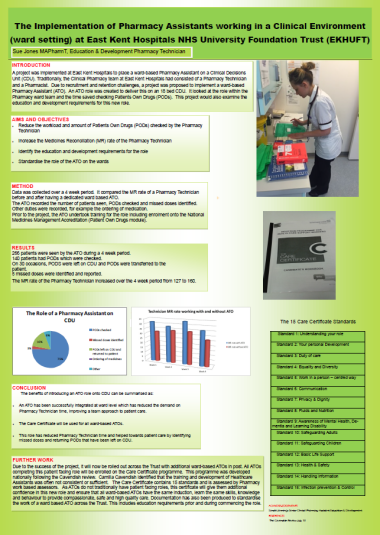 The third (and by no means least) place prize went to Sue Jones of East Kent Hospitals for her fantastic poster on The Implementation of Pharmacy Assistants working in a Clinical Environment (ward setting). Keep your eyes peeled as the APTUK will soon be confirming their 2018 conference dates and venue. If you have a creative idea to share on best practice improvements in your department, be sure to visit aptuk.org to see how you can enter in next year's competition! 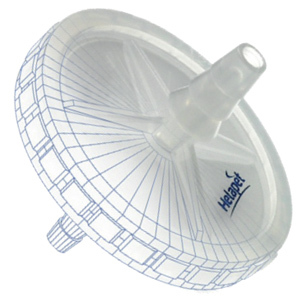 Helapet's range of standard and bespoke inline disposable disc filters are manufactured in-house by our cleanroom team in our ISO Class 8 rated facilities, equipped with the latest machinery and tooling to provide a quick yet highly accurate output. Supported by the ongoing implementation of 5S methods, lead times between initial designs to completed product continues to shorten for the benefit of our valued customers. 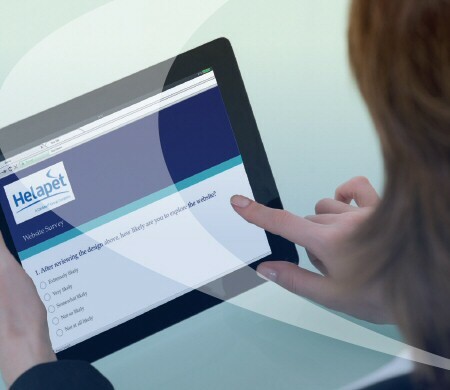 We maintain our dedicated and interactive Filter Devices website to host and inform our customers on the choice of filter media, housing connectors and sizes available from Helapet, supported by bespoke company branding. "We changed our filter supplier to Helapet two years ago. 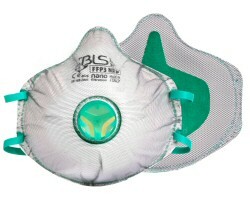 In this time we have been impressed by the quality of the filters provided. Deliveries and lead times have been very good. An additional benefit has been the level of support on a technical basis, advising of the materials to be used and the professionalism of the sales and engineering staff." 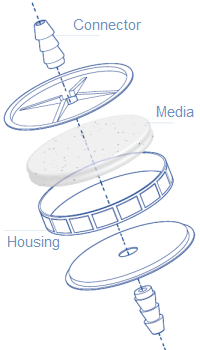 Fulfil your unique filtration requirements by visiting our Inline Disk Filters page. Nov 2016 - Helapet do their part for MacMillan! In aid of Macmillan Cancer support Helapet joined the nation by holding the annual "World's Biggest Coffee Morning" supporting the great work the Macmillan nurses do for people living with cancer. 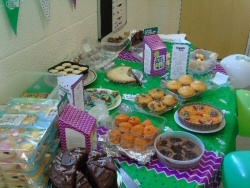 On the day, coffee mornings were held in homes and workplaces across the country, in support of the MacMillan campaign. 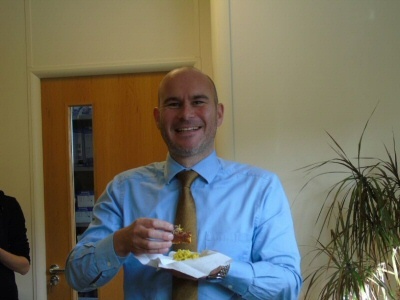 Helapet once again outdid themselves with plenty of homemade cakes, cookies and treats much to the delight of everyone including our very own Managing Director, Ben Miles. 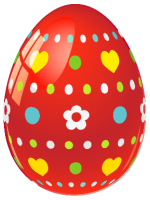 The Helapet team raised a fantastic £211.80 for the cause, and of course, all donations were given to charity. We would like to say thank you to all at Macmillan for the invite and well done to all that took part! Ben Miles enjoying one of the many treats. In response to increasing demand, Helapet are investing in the increased production of inline disc filters with brand new injection moulding machinery and tooling. For over 30 years our Filter Devices division has specialised in the design and manufacture of 25mm and 50mm inline filters, with the ability to customise them with different filter media and inlet/outlet connections. "This new machinery will support our ongoing growth strategy and improve production capacity for our 50mm filters. 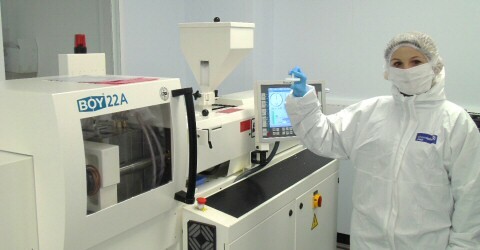 We also expect to gain greater precision and control of our components, which will help build on our reputation for quality and allow us to investigate other product opportunities." Learn more about our range of filter devices and their numerous applications by visiting our Inline Disk Filters page or request your free brochure by emailing info@helapet.co.uk. Did you know, Helapet are a manufacturer of bespoke inline disc filters, used for precise filtration if particulates in air, gas and liquids? With over 25 years of in-house manufacturing experience, we provide quality one-to-one consultancy support and technical support as part of the service. "We have been impressed by the quality of the filters provided by Helapet. Deliveries and lead times have been very good. An additional benefit has been the level of support on a technical basis, advising of the materials to be used and the professionalism of the sales and engineering staff." Email sales@helapet.co.uk and quote "Vari-Disk® service" in the subject to see how we can create a disc filter to suit your application. Or visit our Inline Disk Filters page to learn more. 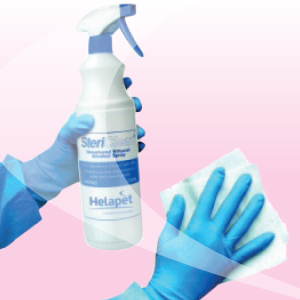 Helapet are delighted to launch a new contract cleanroom packing, bagging and liquid filling service, available to clients seeking to package their products in a contaminant free environment. Using our spacious class 10,000 cleanrooms alongside a class 1,000 liquid filling facility, we offer a fully compliant assembly and packaging line. We combine our specialist production activities into a bespoke, flexible service of which we are happy to accommodate bulk orders as well as small runs. 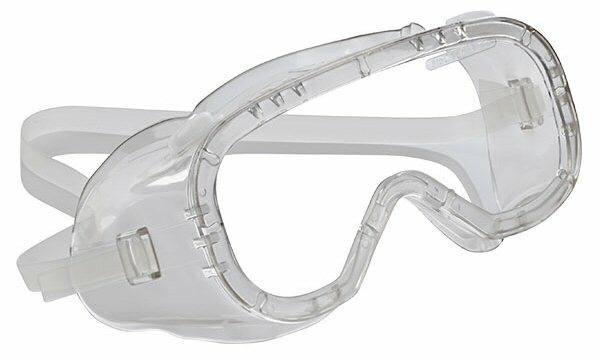 Helapet offers assured quality certification to ISO13485, supported by regular quality inspection and experienced cleanroom staff. If you have a project you would like to discuss, email your requirements to us at sales@helapet.co.uk or click here to learn more. We understand that our customers need their products arriving on time and to the right location. 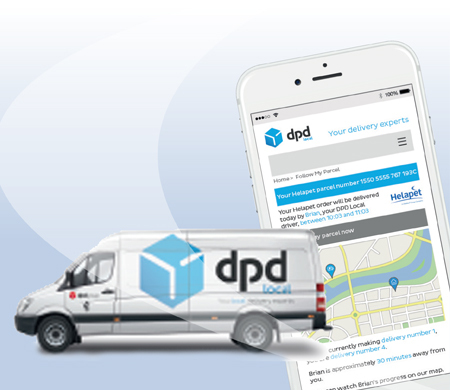 Take advantage of our free delivery notification service, providing valuable date, time and location information straight to your computer or mobile device. Available to all Helapet customers, register for this service by clicking here and fill out your nominated delivery contact details online. 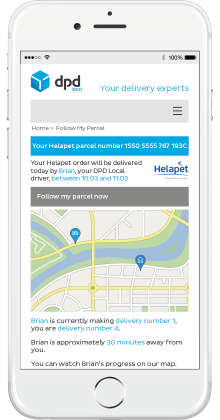 Or email deliveries@helapet.co.uk with the Full Name | Organisation | Mobile Phone Number | Email Address of your nominated delivery contact. 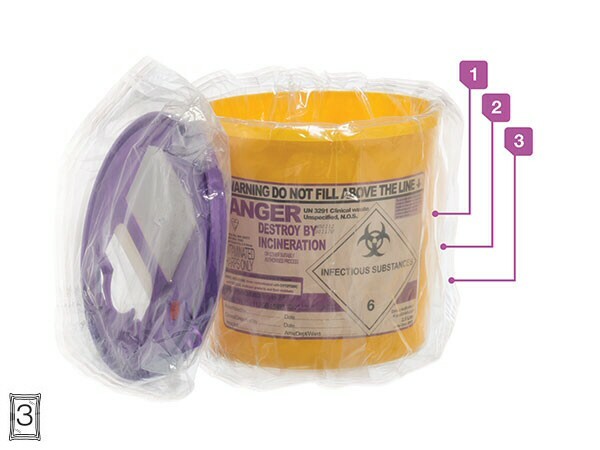 Material cleanroom transfer is an essential element of modern contamination control and now Helapet are pleased to offer our double bagged sterile consumables in triple bagged format for 3 stage transfer processing. 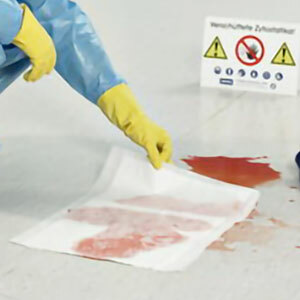 Supporting the need to eliminate harmful contaminants reaching grade A working environments, Pharmacy Technicians can conveniently remove one layer of protective packaging for each stage of the transfer process. Just remember, the best things come in threes! To request a quotation for triple bagged consumables, email us at sales@helapet.co.uk or call us on 0800 0328 428. 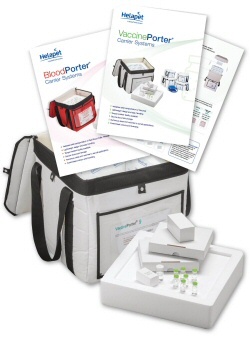 Helapet also offer temperature controlled carriers for TPN bags and Human Plasma too. For additional customer service and technical support, full contact details are included in the brochure. Request your preferred Porter brochure by emailing us at sales@helapet.co.uk. Mar 2016 - Need a bag? We have you covered. 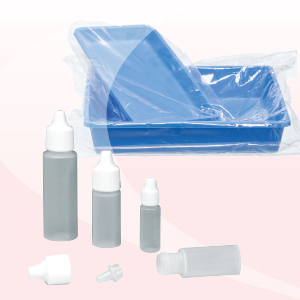 Helapet offer a wide variety of sterile and non-sterile bags for single-use storage, transportation and disposal requirements. 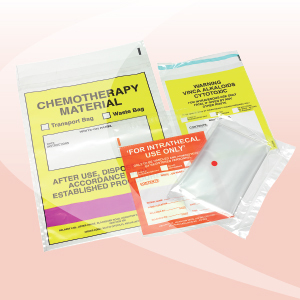 Our line of sterile bags are gamma irradiated and packaged in an ISO Class 7 environment ready for immediate use; improving process efficiency and reliability. Choose from our specialist range of labelled and plain bag options, each designed and manufactured from quality materials and available in different sizes, sealing options and packaging formats. Order FREE samples by contacting sales@helapet.co.uk or call 0800 0328 428 to learn more. 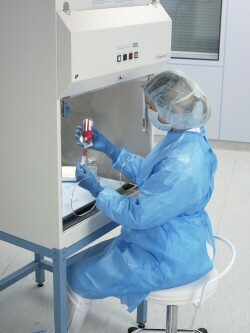 PharmaVent™ Spike Vent from Helapet protects healthcare professionals from the risk of aerosol contamination during sterile preparation and aseptic reconstitution activities. 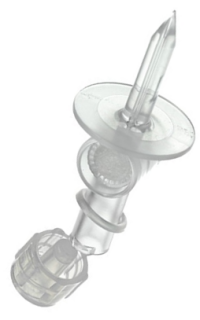 A compact, easy-to-use device, PharmaVent™ Spike Vent reduces the possibility of needle-stick injury using an anti-coring plastic spike for easy vial access. Looking to order? Click here to request your free samples! 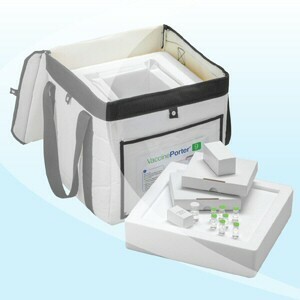 Picture: #IV4040 - 100 pieces a pack. Individually blister packed. ETO Sterilised. At Helapet we provide a solution in the bespoke design through to choice of media and manufacture of your inline disc filters. We add value to our filtration products, using consultancy based manufacturing to exceed customer expectations. Is your application not mentioned above? Or, have you not found what you are looking for? Then contact Helapet today or call 0800 0328 428 to discuss how you can customise your filter media, micron pore-size or disc inlet and outlet connector options... or even add your very own company logo. The filtration possibilities are endless! This year marks the start of something new here at Helapet Ltd. 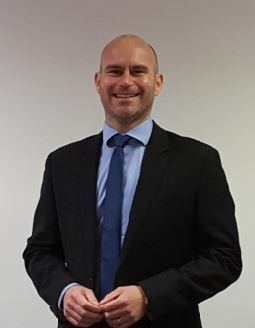 Introducing Ben Miles, Helapet's new Managing Director. Ben joins us with over 12 years' experience within the CliniMed® group. Having recently been employed by our sister company Gemini Healthcare Services Ltd, Ben brings with him valuable experience in New Product Development, Business Development, along with Marketing management and Regulatory Affairs. 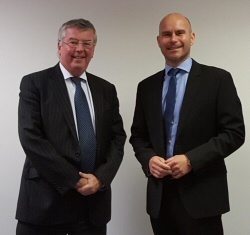 "I'm delighted to have joined Helapet and getting to know the team as I settle into my new role of Managing Director. Everyone I've met I've found to be very welcoming as well as dedicated and hardworking with a clear focus on providing the very best possible service to our customers. I'm very excited about the potential for 2016 with a number of new products planned and I look forward to spending more time with the team, our partners and our customers." We would like to offer Ben our warm congratulations and look forward to continued success in 2016. Click here to learn more about CliniMed® (Holdings) Ltd and all seven specialist healthcare companies within the group. 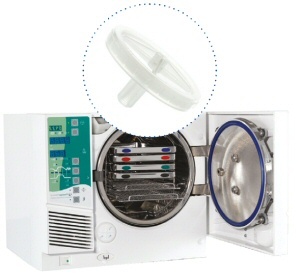 Do you have difficulty maintaining the sterility in your autoclave? Experiencing trouble during the dry cycle of your instruments? Then take a look at the top four reasons why you should choose Helapet autoclave disk filters for efficient sterile venting applications. 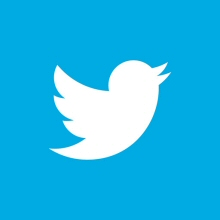 You can also enhance the way your filter looks by selecting your media, connections and adding on your own company logo for that personal touch. To benefit from this, ask about the Vari-Disk® service. To learn more, contact our dedicated Filter Specialist at filters@helapet.co.uk who will be able to work through your requirements, providing expert advice and information. There is still time to place your orders up until 11am on Thursday 24th December, when our offices will be closing. Helapet will reopen normal business hours, from Monday 4th January 2016. Click here for information on guaranteed delivery and how you can order for Christmas or the New Year. 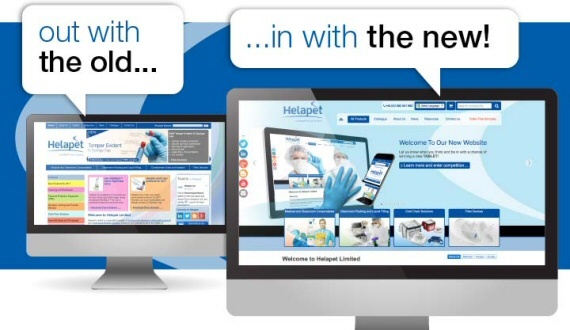 Keep up-to-date with Helapet news in 2016 by connecting with us via LinkedIn or Twitter, or why not sign-up to receive our quarterly newsletter! January marks the start of a big change at Helapet Ltd... Managing Director John Blight will be hanging up his jacket and heading off into retirement. 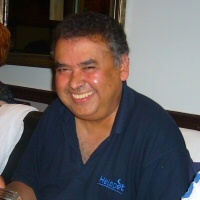 John joined Helapet in October 2005, initially as Operations Manager before being promoted to General Manager in 2009 and then Managing Director in 2012. Looking back over these last 10 years we have seen some significant changes within Helapet. Our sales have more than doubled, we have seen the introduction of a field based sales team and overall employee numbers have increased. 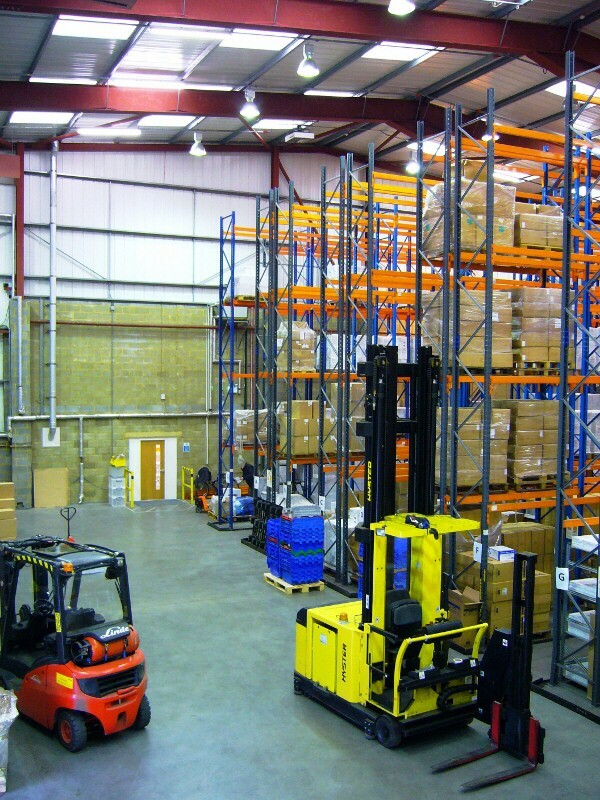 This growth, both in turnover and staff, necessitated the need to move. Whilst we didn't have to relocate far, this was still a major project and included the construction of the new cleanrooms. With sales on track to reach record levels in 2015, Helapet is being left in a very good position for John's successor. Replacing John as Managing Director will be Ben Miles from our sister company, Gemini Healthcare Services Ltd. Ben has been working within the CliniMed group of companies since 2003 and has been a Director since 2007 with responsibilities for Marketing, New Product Development and Regulatory Affairs. We would like to offer both John and Ben our warm congratulations and look forward to continued success in 2016. 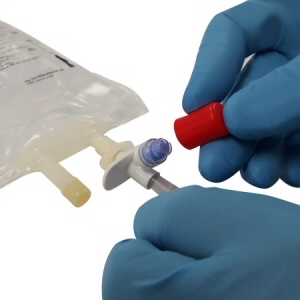 Applied using a simple "push on" design, Easycap® allows irremovable capping of open access ports, after addition of medicinal product into an IV bag using a luer lock syringe. 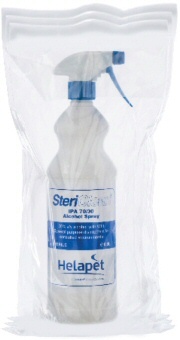 Sterile and conveniently multi-packed, each pack holds 8 caps per blister, helping to reduce the time consuming disinfection process before transfer into controlled environments. 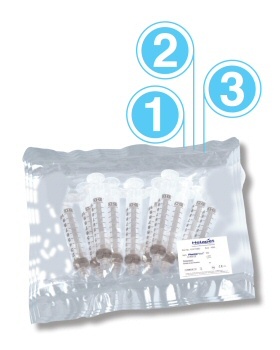 Preventing possible tampering or contamination of the medication port, Easycap® can easily be secured to the end of the Vial2Bag needle-free transfer system. To request your FREE SAMPLE, simply email your name and contact details to info@helapet.co.uk or contact +44 (0)1582 501980! 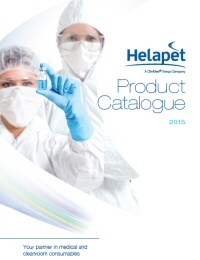 Jul 2015 - New Helapet Product Catalogue available now! 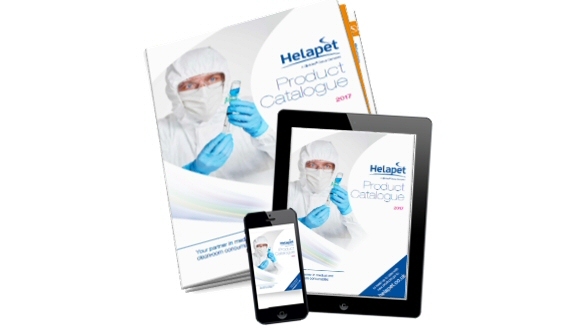 We are delighted to announce the launch of our Helapet Product Catalogue. 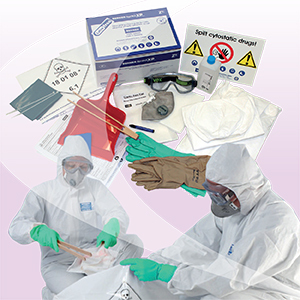 Packed full with our latest portfolio of quality medical and cleanroom consumables, tested and validated products for critical environment activities. All compiled into an easy-to-read 44 page product guide, providing you with the best solution for your application requirements. Click here to download our new catalogue, or if you would like a hard copy simply email your name and address to info@helapet.co.uk. 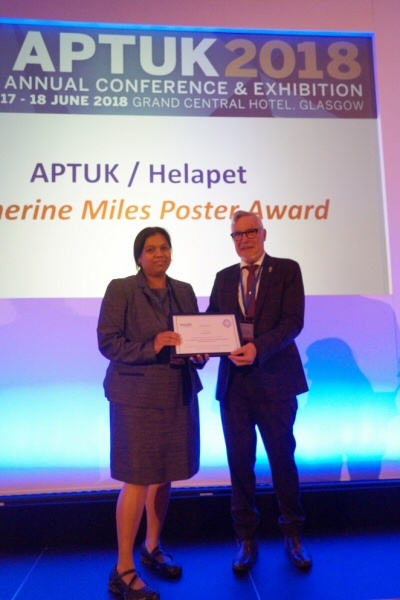 We are pleased to announce that Mandeep Matharoo of Addenbrookes Hospital became the official winner of the APTUK Katherine Miles poster competition 2015, sponsored by Helapet. 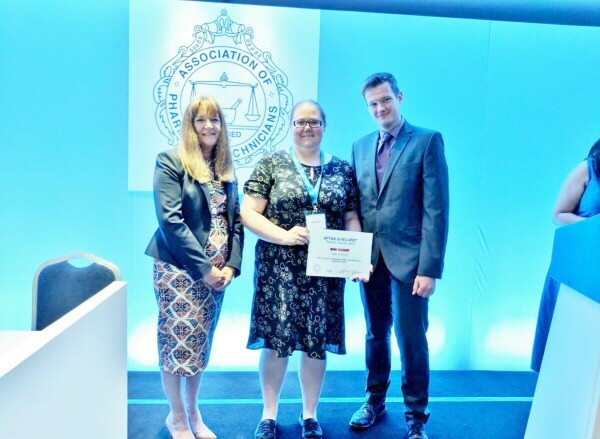 Mandeeps poster on “An innovative visual tool identifying Education & Development opportunities for pharmacy technicians, incorporating the APTUK Foundation Pharmacy Framework“ secured her a cash prize of £250 and her name the board of poster winners. Also congratulations to the runners up, Dalgeet Puaar and Emma Walker of London Pharmacy Education and Training (LPET) and Panayiotis Sphikas of University College London Hospital who also received cash prizes. If you have a creative idea to share on best practice improvements in your department, be sure to visit aptuk.org to see how you can enter in next year’s competition! Helapets longest serving member of staff, Michael Shaw (Quality Inspector) has hung up his high-visibility jacket and inspection stamp and is sadly retiring end of March. Michael has been with Helapet for over fourteen years and has been an integral part of the company's growth; from becoming part of the CliniMed Group in 2002 to our successful move to Lister House in 2012. "It has been great working with all of the Helapet team. It is with some sadness that I leave, but personal circumstances have forced me into taking early retirement. I wish everyone at Helapet a happy and prosperous future"
Michaels last official day with Helapet will be on Tuesday 31st March 2015. The Helapet team would like to wish him a very long and happy retirement. He will be truly missed! This month Helapet took part in Comic Relief to support those suffering in the UK and across the world. Helapet helped to raise over £35, which is enough to vaccinate 7 children against deadly diseases including meningitis, tetanus and pneumonia! The team participated by wearing red and sported cool Red Nose Day pin badges in support of the cause. 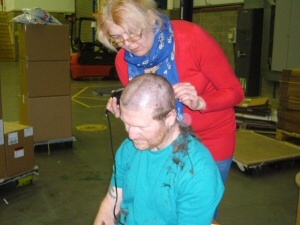 To keep the donations rolling in, Redd Menzies from our cleanroom unit kindly volunteered to have his head and beard chopped for charity! 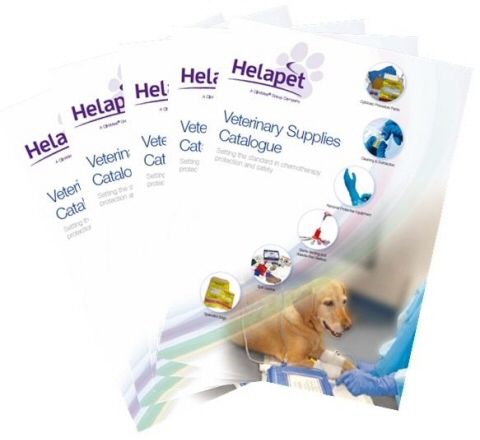 The NEW Helapet veterinary catalogue has landed! 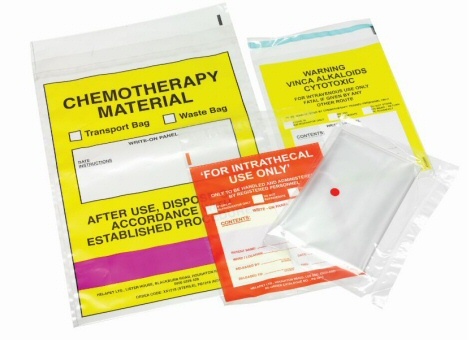 A new 8 page catalogue has been launched to inform customers and prospects about the protective products offered by Helapet to help reduce the risk of chemotherapy exposure. 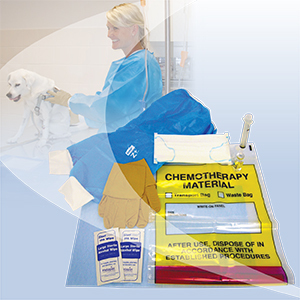 Aimed at Veterinary practitioners who conduct regular chemotherapy preparations and administrations, the new catalogue will provide clients with a better understanding of how chemotherapy exposure can occur, and the use of individual or combinations of Helapet products to protect users from contamination. Click here to download a copy or request your FREE catalogue now by emailing info@helapet.co.uk!